Sheila, Bernie & Steve Durcan claimed their first ever MSMBA Triples title after winning the round-robin event at the NSC on Sunday. 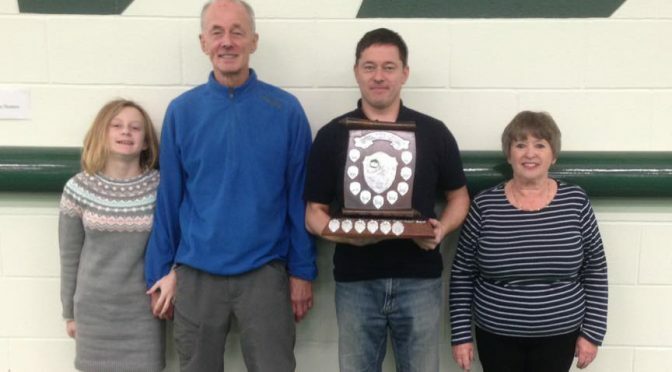 Seamus Whelan, Chris Holland & Collin Holland successfully defended their title in the Ann Hollingworth Triples after beating Sheila, Bernie & Steve Durcan 13-3 in the final last Sunday at the NSC. The Ann Hollingworth Triples competition was held last Sunday at the NSC with Seamus Whelan, Chris Holland & Collin Holland taking the title with the very last bowl. Ballaugh trio Richard Faragher, Ann Gale & Dave McTaggart won the Ann Hollingworth Triples competition last Sunday at the NSC, snatching the victory after three teams finsihed level on points in the round robin format.